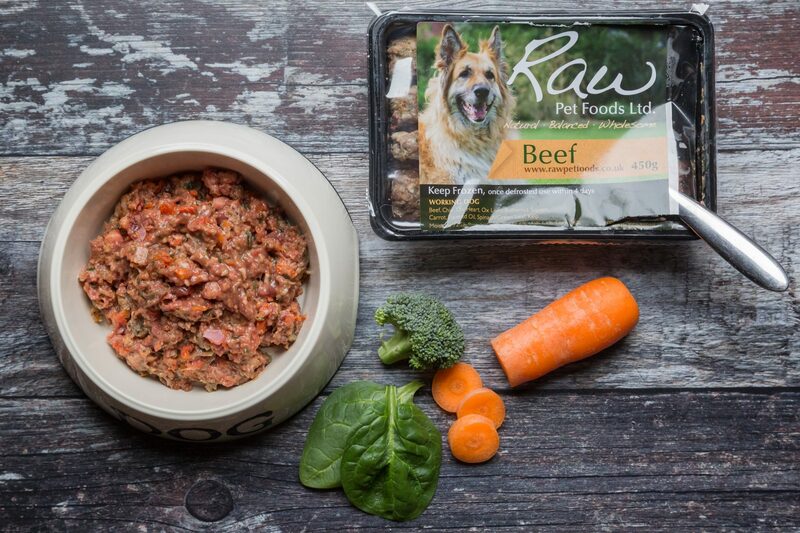 Made from human grade meat with fruit & vegetables ensures your dog gets the diet it deserves by giving it all of the essential proteins, minerals and vitamins they need for a healthy, active and happy life. There are No Colourings, No Preservatives, No Artificial flavourings and No Additives, just 100% Natural. Each pack is frozen and weighs 900g. Ingredients: Chicken, Ox Heart, Ox Tongue, Veal Bones, Liver, Beef Skirt, Carrots, Butternut Squash, Broccoli, Kelp, Oil. 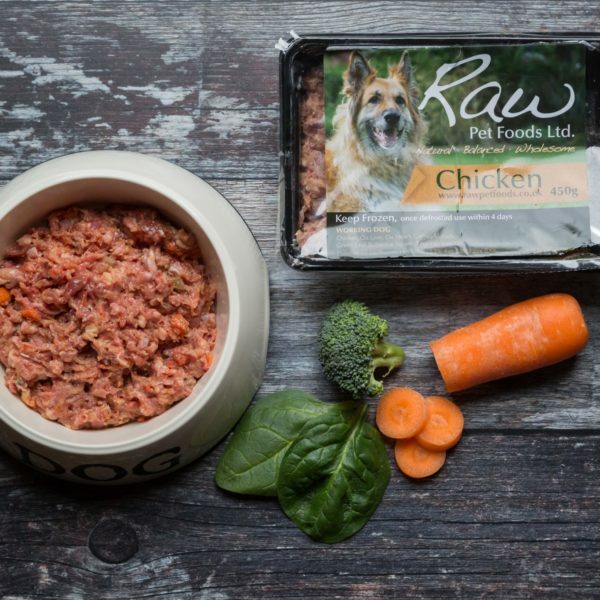 This is a complete dog food for working dogs and contains bone. Collection from the Farm Shop only.